Ever since I was little I've had a very peculiar fear of wolves. Not were-wolves mind you, just your average wolf. Every night I could have sworn they were right outside my bedroom window. I didn't sleep without a nightmares for a long while. Eventually they stopped and everything went back to normal, but now I'm having them once again and I don't know why. It's terrifying, and I want it to stop. What can I do? Not many, only two if I can remember correctly. I'm given to understand childhood fears and difficulties can reassert themselves later in life, particularly during times of stress. Your thread in the life forum makes it sound like you're in a time of stress. I've thought about it, I really want to, but I'm afraid to ask my parents for it because that would lead to questions I am not comfortable answering. Things I didn't even say in that thread. I don't get the reference, could somebody explain? 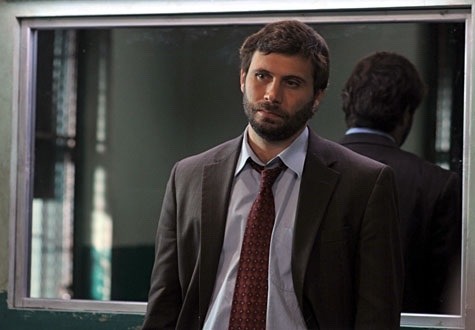 ^Detective Lupo from Law & Order. At your age, I'm not entirely sure you can keep from involving your parents if you want psychiatric help. Maybe you can talk to another adult that you can trust so they can vouch for you, school faculty, something. At the very least they can talk to your parents about it and help them understand what you want. If you have to answer these tough questions, just be honest. Be vague if you really think it's going to hurt you, but don't say that there's nothing.